In July 1968 my dad’s secretary Sandra, of whom I was very fond, gave me the princely sum of ten shillings for my birthday. We took a walk into Macclesfield town. Vacillating between toy shop and record shop, I decided to invest this money in a recording called Yummy Yummy Yummy by the Ohio Express. Although it was a monumentally stupid song, even my newly-turned 11 year old self could recognize that Yummy Yummy Yummy was a true punk record with its heavy clipped guitars on the 8th note and strong backbeat. Having brought the record home and stomped around to it a few times with my siblings, we decided to check out the B side, and were confronted with a whole new mystery. The instrumental cut Zig Zag sounded like an unhappy fairground organ had somehow gotten involved in an episode of Dr Who and was falling into a space-time vortex while intoning its melancholy song. Recognizing that this was a backwards tape I recorded it onto my little Japanese 3″ reel to reel and then flipped it, only to find a rather boring track which I now know to be Poor Old Mr Jensen by the 1910 Fruitgum Company. That was an early sound design lesson, and of course my young mind had no thought of drugs or satanic influences. I just thought Zig Zag sounded cool. Fast forward 14 years to the Ultramarine sessions. We decided to flip the tape on Stripe for some swelling piano overdubs, and were captivated by the new and different track that we heard. 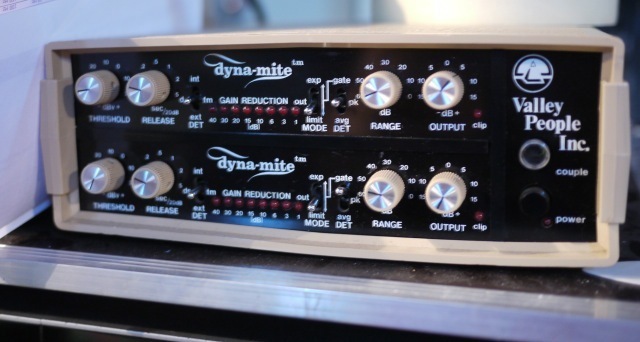 We decided to try our best to mix it as a forwards track, using some excellent new units called Dyna-Mites, from Valley People in Nashville. These units allowed one to control the envelope of a sound to an unprecedented degree and we were able to get the drum sounds a tad less backwards-sounding. Respit is actually the best mix on Ultramarine, but because it was a backwards song it garnered some jeers and accusations of hippiedom. As an unplanned track it also extended the length of the album, which caused a new dilemma in the cutting room. The legendary and jovial Porky (of Porky’s Prime Cuts) informed us that the increased duration meant we’d have to cut the album with smaller grooves, hence (eek!) less loud. He offered an alternative: if we sped the whole thing up a few ticks he could make it all fit. So that’s what we did. I completely forgot about this until years later, when some observant folks inquired why the newly reissued Ultramarine tracks were a couple of seconds longer than the vinyl originals. The dilemma occurred again when we compiled Flood Bank and there was no room for Respit. This time, rather than speed up our whole oeuvre, we decided to leave it off and give it away on the Acute Records website, where it can still be found.